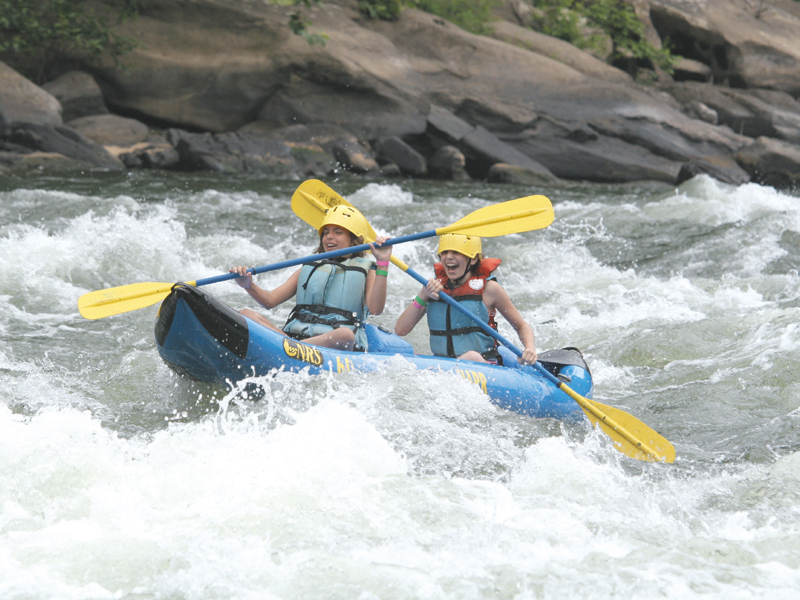 Vigorous rapids, magnificent scenery and accessibility combine to make Gauley River rafting one of world’s top whitewater experiences. 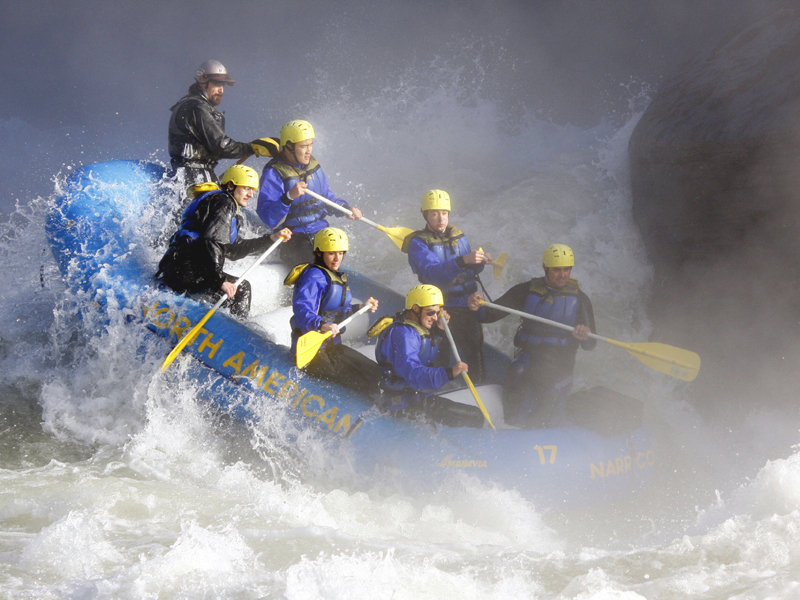 This unspoiled river canyon features more than 100 steep and technical rapids with huge waves. 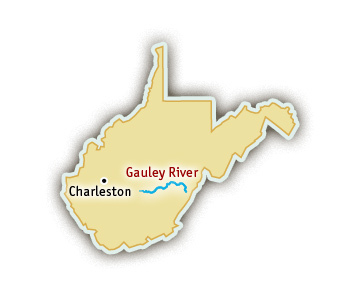 The Gauley River was the chosen site for the World Whitewater Rafting Championships in 2001. 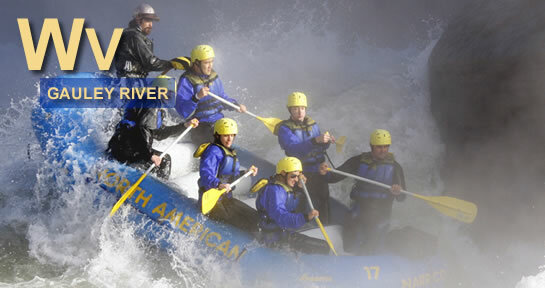 Visit their website for more information about Gauley River Rafting. 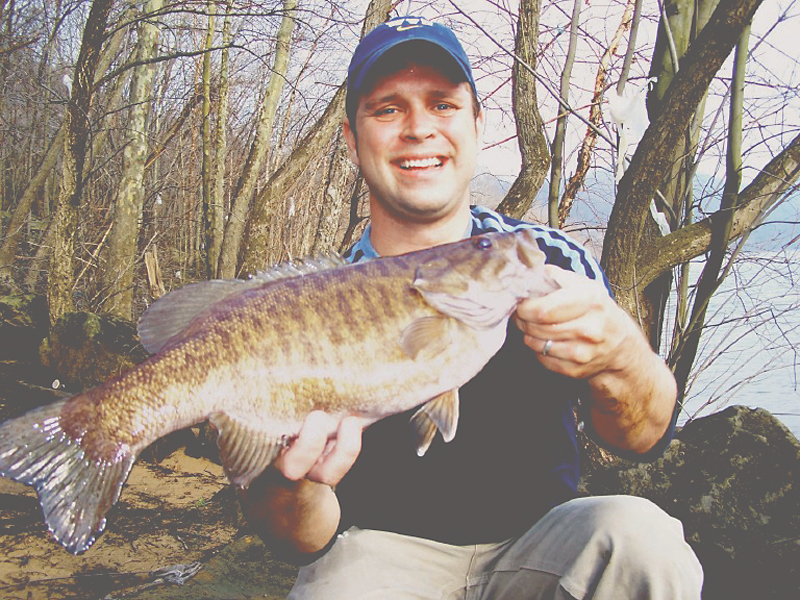 The Upper Gauley flows through a narrow canyon, dropping at an average of 32 feet per mile. 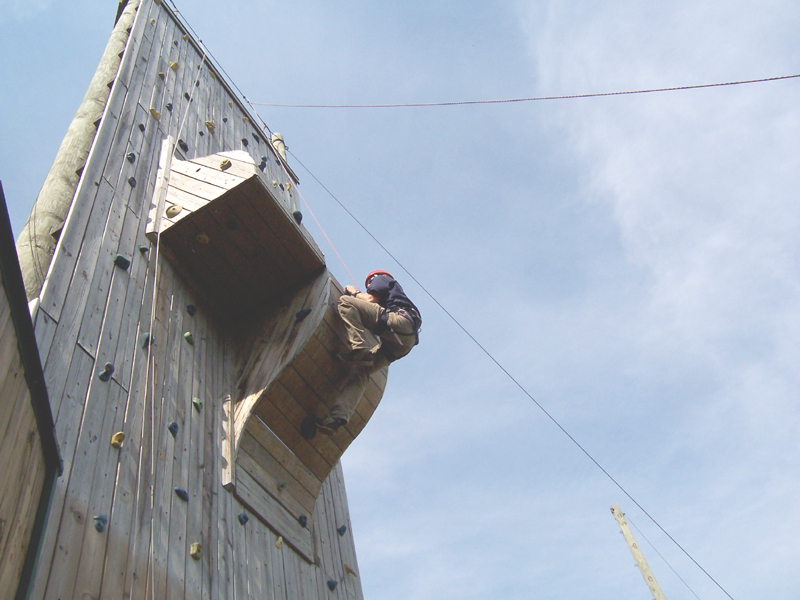 The level of difficulty ranges from beginner Class III to advanced/expert Class V+. 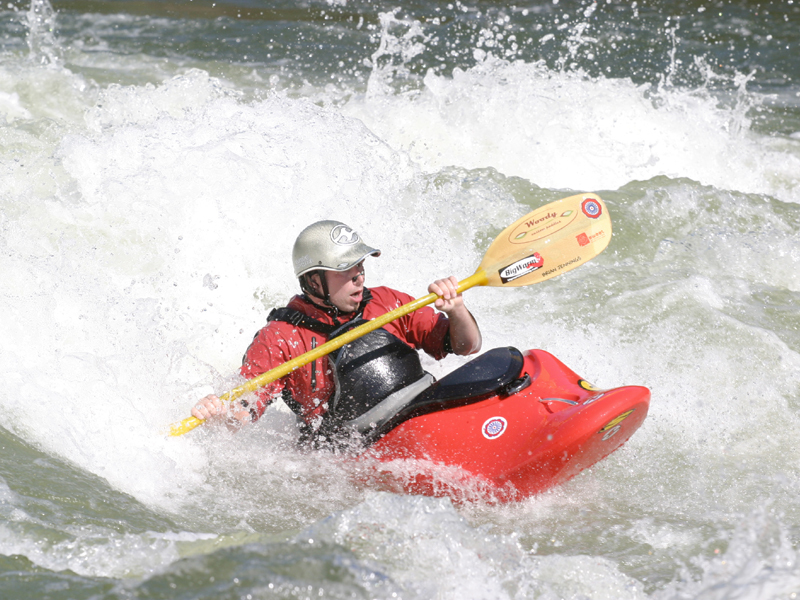 The upper section provides intense rapids like Pillow Rock, Lost Paddle, Iron Ring and Sweet’s Falls. 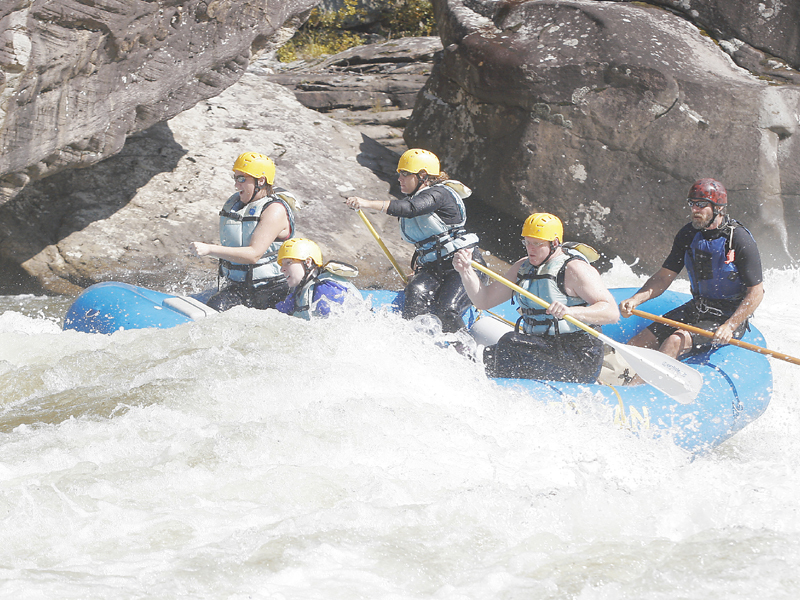 Gauley River rafting is not for inexperienced rafters. 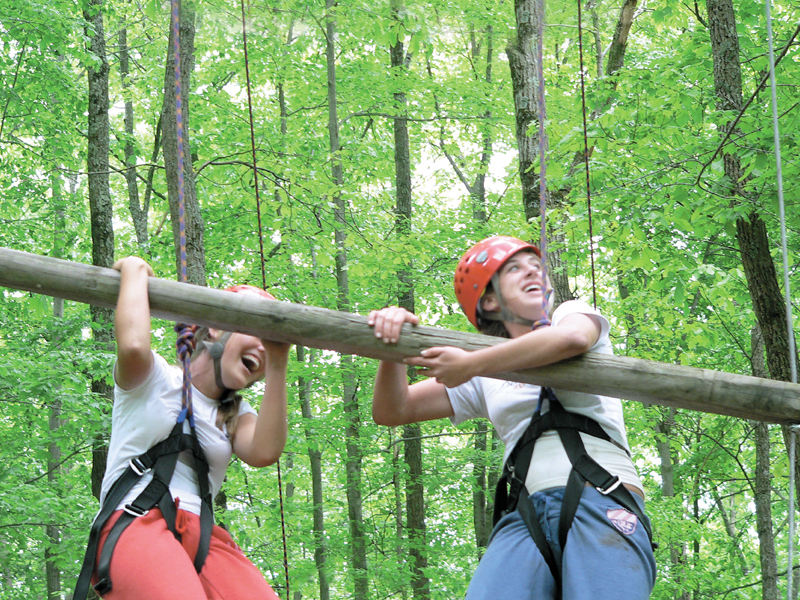 If you have not rafted before, it’s recommended you try another river before going on the Upper Gauley. 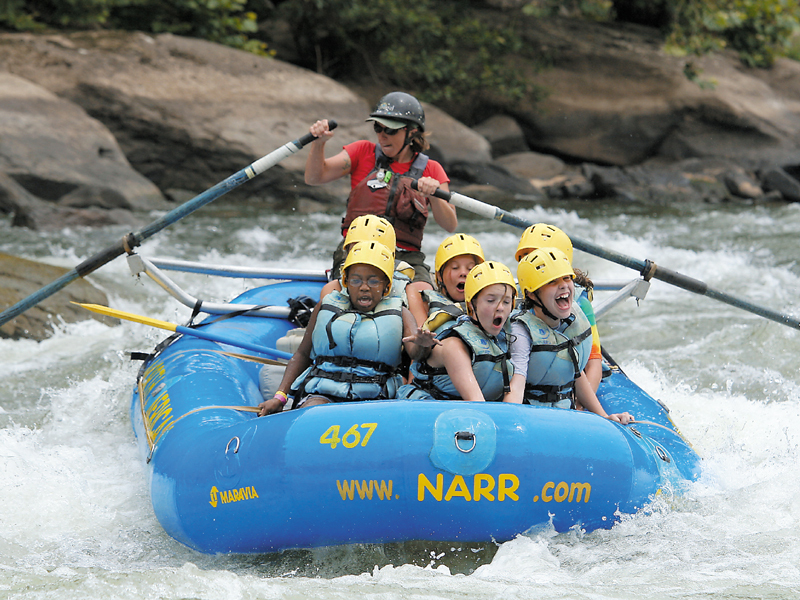 The Lower Gauley is a complete rafting experience featuring numerous advanced Class IV rapids. 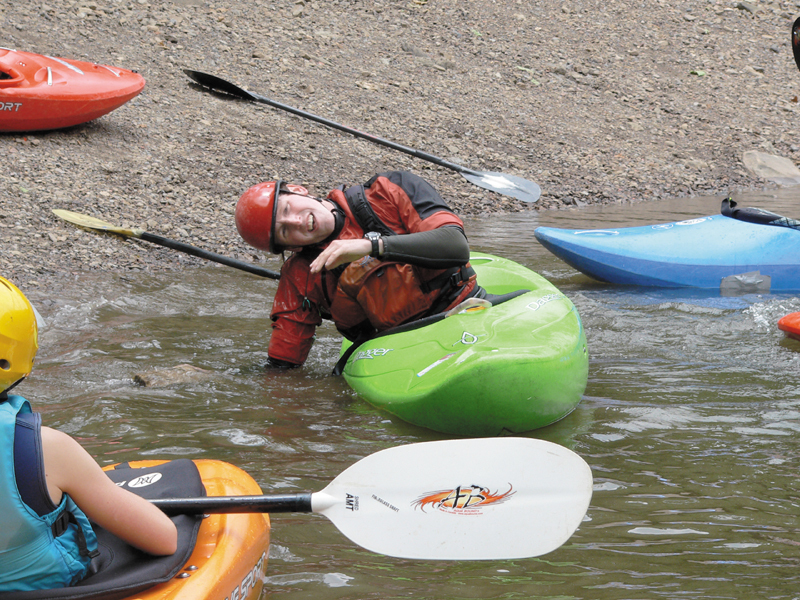 While the lower section provides intense rapids like Mash, Heaven Help You and Pure Screaming Hell, long pools follow, allowing rafters a chance to relax and appreciate the gorge’s solitude and beauty. 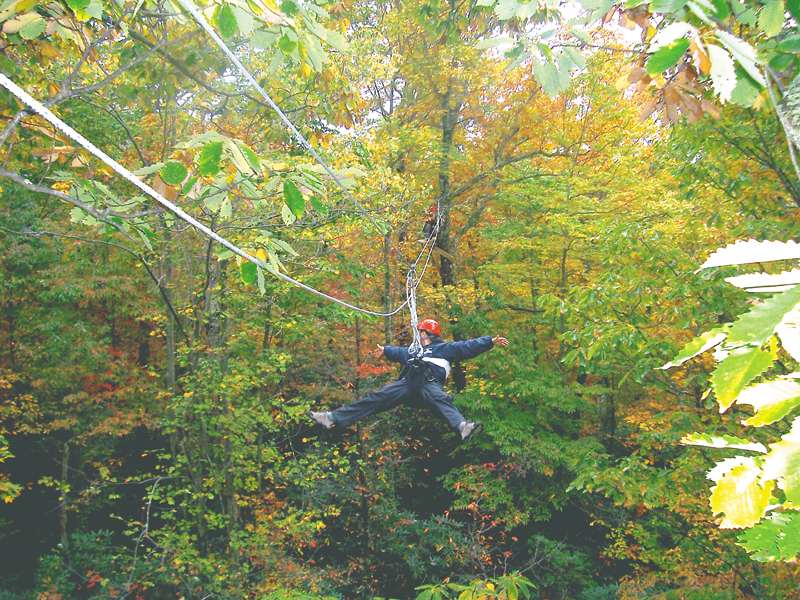 Controlled by the US Army Corp of Engineers, the annual drawdown of Summersville Lake creates the Gauley River’s famous autumn rafting season. 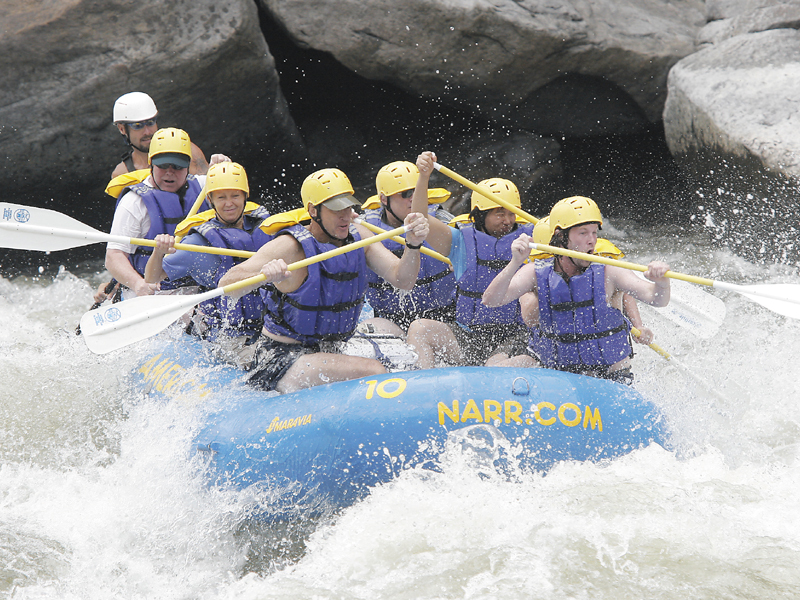 The Gauley runs from Labor Day weekend to mid October.